If you’re wondering how to make croutons, like the ones served in the best restaurants, let me be the first to tell you that it’s really not that hard! Homemade croutons are easy to make and they are the difference between a ho-hum salad and a can’t-believe-how-wonderful-this-is salad! They are what makes a fresh garden salad taste the best, in my opinion. This recipe for making croutons from bread results in the perfect accompaniment with a very simple salad, even with no additional toppings. In fact, my favorite way to enjoy croutons is atop a generous lettuce salad with vinaigrette–that’s it! What makes these homemade croutons taste so good is the combination of butter and olive oil that I use. The butter offers a really rich taste when paired with the olive oil. You can make croutons from bread using any kind of leftover bread that you have, and it really won’t make any difference whether it is actually stale or not. What I like to do, after we’ve had any kind of loaf bread with dinner, like French or sour dough bread, is to go ahead and dice up the leftovers for future croutons. You can cut the bread into cubes and freeze it to make the croutons later, or you can go ahead and actually pre-make the croutons, then freeze them. If you opt to put already-made croutons in the freezer, be sure to undercook them just a bit. Then when you are ready to serve them with a salad, put them back in the oven or into a cast iron skillet to finish them up. 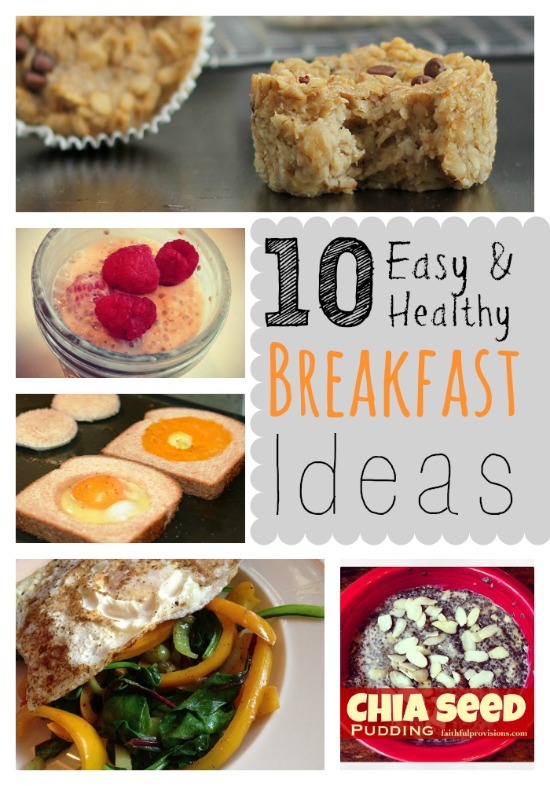 (Otherwise, they will be soggy.) 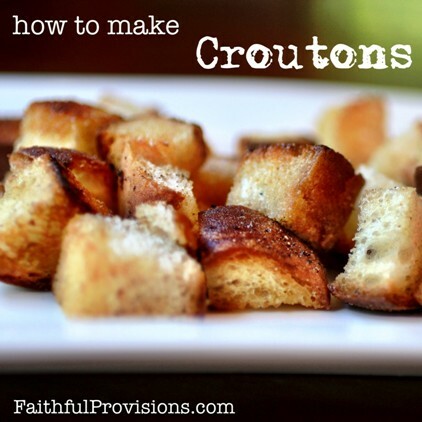 Enjoy this easy recipe for homemade croutons. In a cast iron skillet, heat oil and butter on medium. Place croutons in skillet; stir so every side is coated with the oil and butter. Continue turning often so they toast on each side. Ready for some croutons now? Find recipes for all kinds of salads in my Recipe Box.